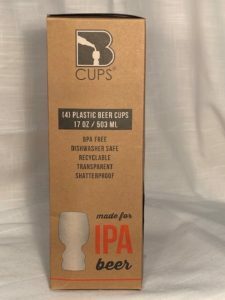 Digital First Media’s “Ticket to Entertainment” has added a new page to its website – the “Brew Hub” – dedicated to craft beer! 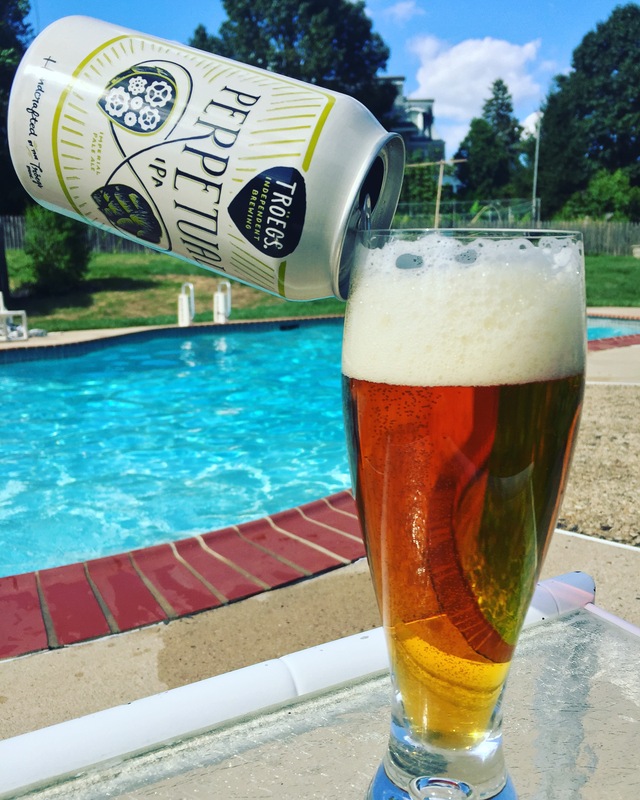 Take a look at the Beer Event listing – compiled by yours truly – and a nice summary of the breweries in the Greater Philadelphia region. 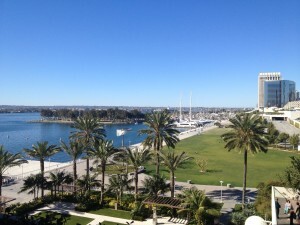 In the middle of a cold, Mid-Atlantic winter, I was lucky enough to have a quick visit to balmy San Diego. Over the years, I have read and heard stories from craft brew fans testifying to the fact that San Diego is the “craft beer mecca” of the West Coast, so I was curious to see how a 48 hour trip with limited time for beer tourism would turn out. I was not disappointed. I started my visit with a late lunch at The Knotty Barrel. 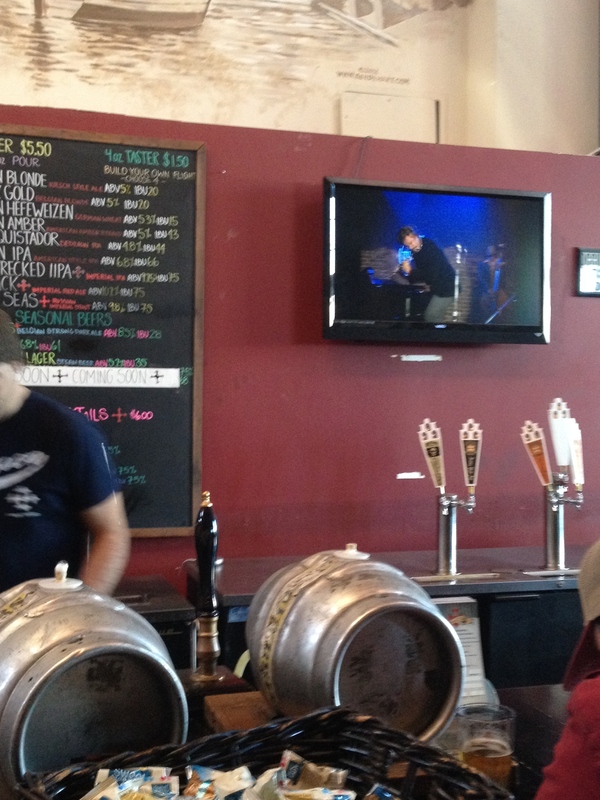 The comfortable craft brew bar had over 22 taps and 18 bottled beers, with the majority from the Bear State. 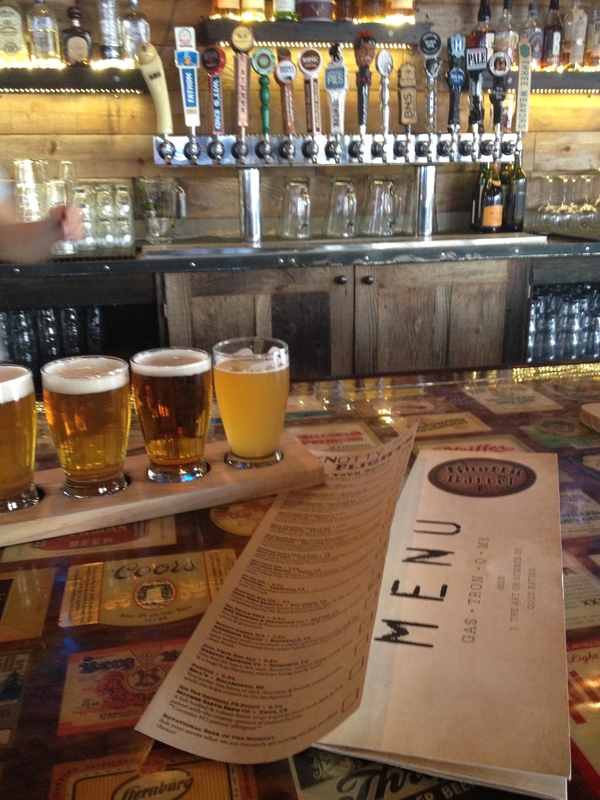 I made sure that my first taste of San Diego was a flight of California’s finest – Three Weavers ESB; Sierra Nevada Kellerweiss, Ballast Point Fathom IPA, IronFire 51/50 IPA, and BNS Brewing Ma Deuce DIPA. The flight did not disappoint – especially when paired with Knotty Barrel’s Potato Chip Nachos and Knotty Wings. After The Knotty Barrel, I headed to Mission Brewing who, by chance, was releasing their “Don’t Act Like You’re Not Impressed” IPA, that day. 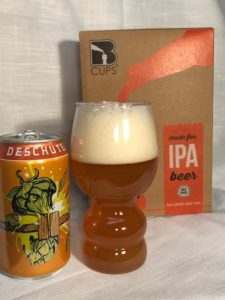 The brew was made in collaboration with Alpine Brewing Company and embraced the San Diego-based film “Anchorman.” The “Don’t Act Like You’re Not Impressed” IPA was brewed in two varieties – one with Mosaic and another version with Simcoe. Both were perfect examples of a West Coast IPA for an East Coast visitor! 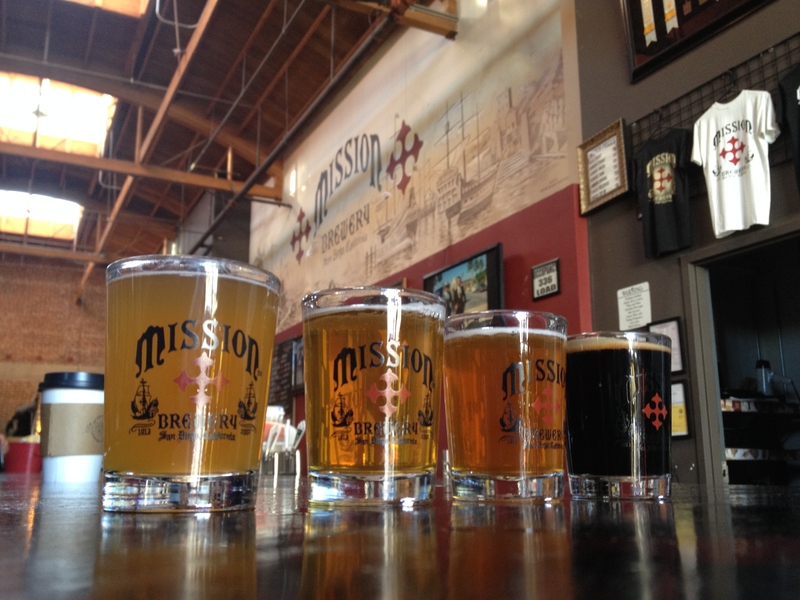 After sampling a few other Mission creations, I took bottles of Mission’s “Carrack” Red Ale and “Dark Seas” Russian Imperial Stout for the road and went on to explore more of San Diego, which included the grand opening of Half Door Brewing Company. 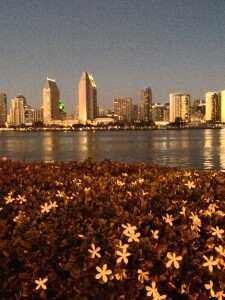 The following day I took the ferry to Coronado Island, home of Coronado Brewing Company. 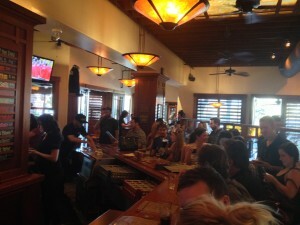 There was large crowd at the bar, but it was a friendly, comfortable group enjoying a warm Saturday afternoon. Between my flight and my companion’s flights, I was able to sample every one of the beers available that day. Although I hate to make lists or rank beers in any way (to each their own! ), Coronado’s Algerythm was the perfect pairing with the weather and the fun people I was with at the time. A highly aromatic India Pale Lager, the grapefruit and citrus flavors were contrasted nicely by the crisp lager beer. 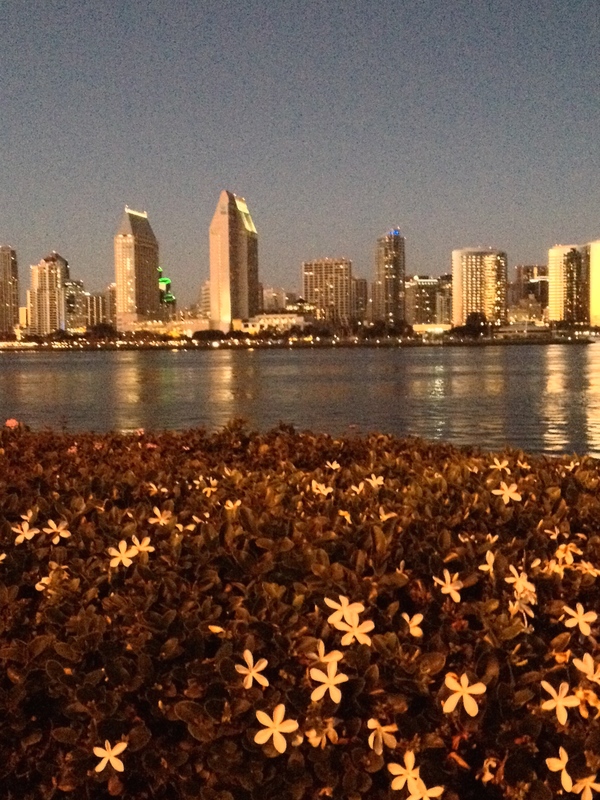 As I departed Coronado Brewing, I was treated with a stunning visual nightcap to a fantastic day – the San Diego skyline was bathed in gold from the setting sun. Between this sunset and the many outstanding local brews I had encountered in less than 48 hours, I am convinced that what you read is true – San Diego is truly a treasure and should be considered a “mecca” of the American craft brew movement. 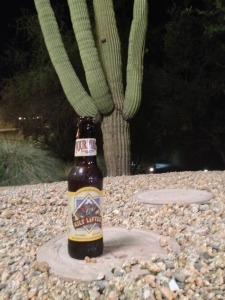 Four Peaks Brewing “Kilt Lifter” in its natural state. 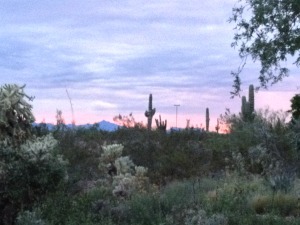 The greater Phoenix area is not known as a craft beer destination. But after a recent trip there, I learned that the demand for local craft beer is growing, and the beginnings of a Phoenix beer culture is emerging like an oasis rising from the horizon of a desert. Within the past few years craft beer fans have been pleased to see the emergence of craft taps in Phoenix bars. 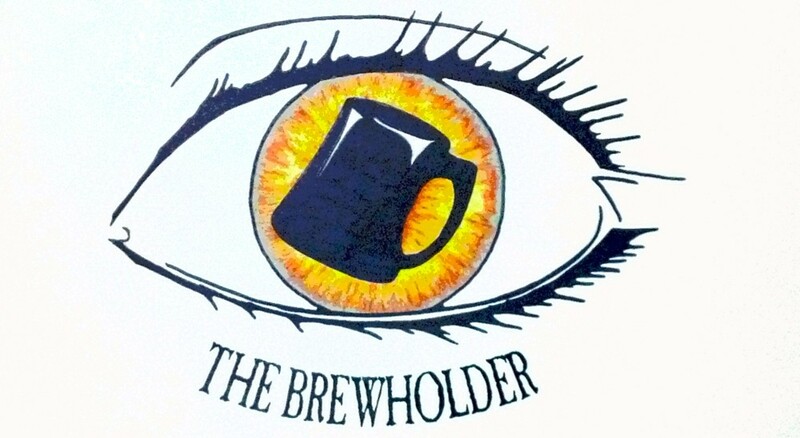 While larger “chain” pubs such as “The Mellow Mushroom” and “The Yard House” have a decent selection, some bar owners are providing more options for Phoenix craft drinkers. The Angel’s Trumpet Ale House, owned by Sharry & Mat Engelhorn, is ensuring that no tap will ever be dedicated to just one beer. Once a beer is kicked, another, different craft beer takes its place. The night I was there, a variety of New Belgium beers were showcased during a tap take-over with New Belgium Brewer Grady Hull on premises. Another craft beer bar that has a very nice selection is the Union Barrel House, located in Old City Scottsdale. 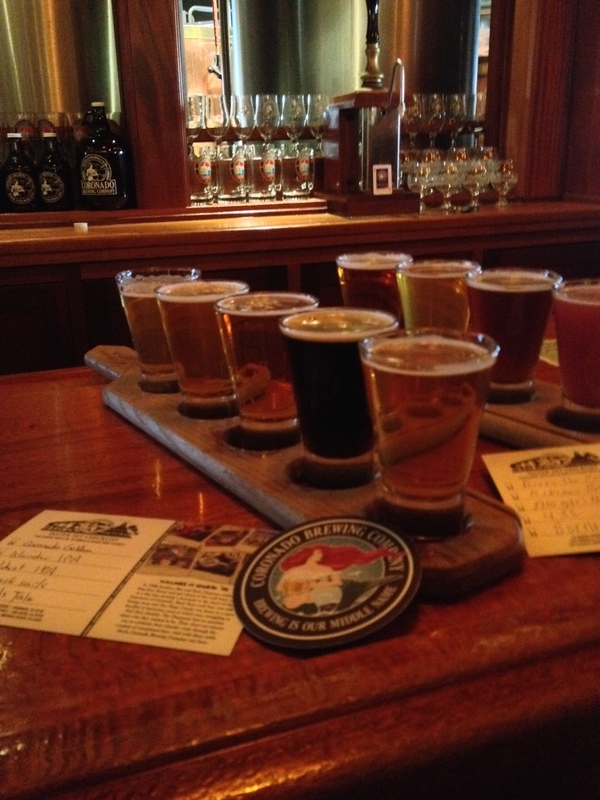 With over thirty taps of local and other craft beers, it can be difficult to choose which ones to try. 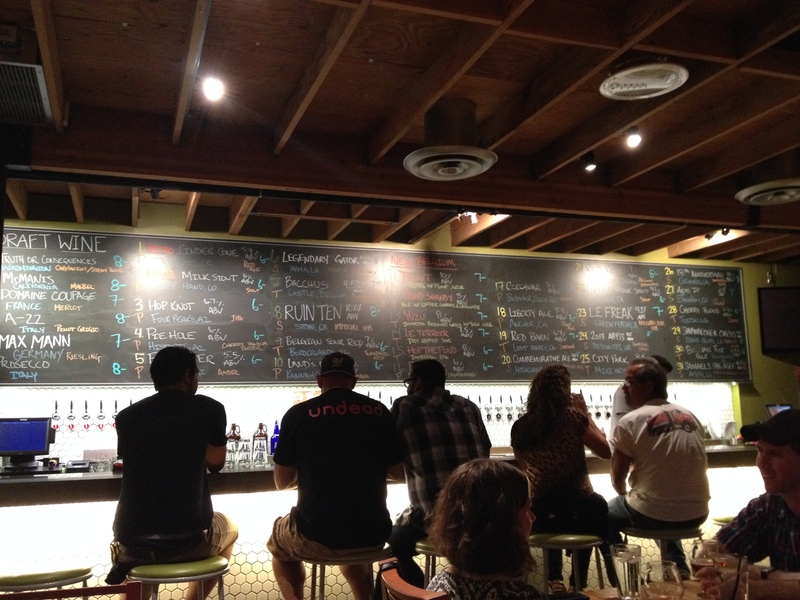 Here’s a tip – make sure you use the paper menu to order, because the beer goes quick and the chalkboard over the bar may not be current. The beginning of Grand Avenue Brewing’s barrel program. 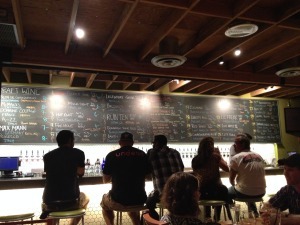 As far as breweries are concerned, there are several in the Phoenix area. 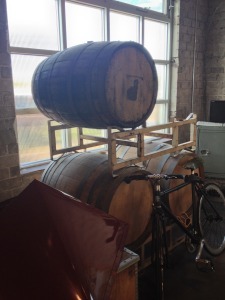 But right now there is a flurry of excitement and anticipation for Grand Avenue Brewing Company, which is expected to open in early 2015 and is the collaboration of brewers John Coll and Steve Robson, Philly Beer Geek winner 2008. 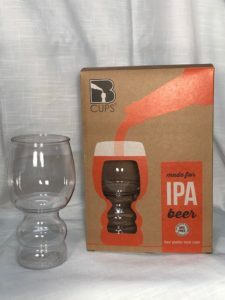 “GAB” plans to have a barrel aging program and produce “niche” beers that have not previously been available in the Phoenix market – maybe we’ll see an Ice Bock or a sour similar to Russian River’s Consecration? 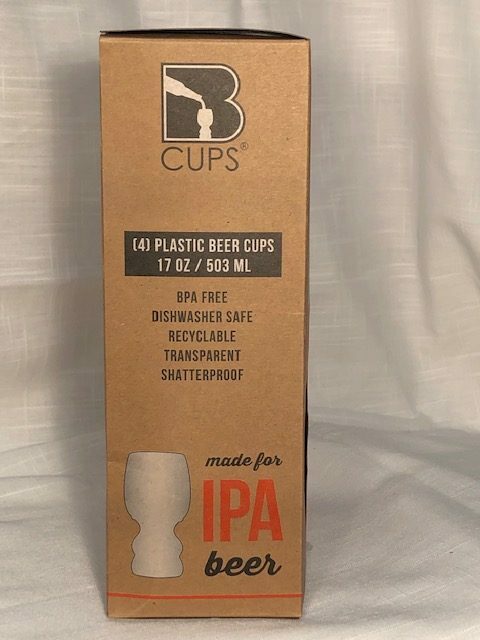 Check out an upcoming issue of Philly Beer Scene to learn more about GAB’s plans, and follow them on Facebook to see their progress leading up to opening day. 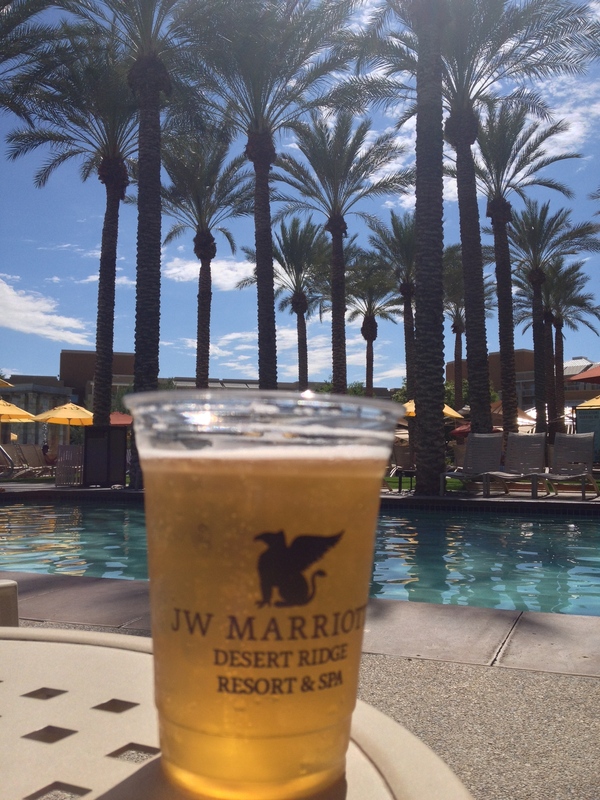 Four Peaks Brewing Company, Tempe, AZ: Their “Peach Ale” was the perfect compliment to a poolside afternoon, and their “Kilt Lifter” is a local favorite. Sleepy Dog Brewing, Tempe, AZ: “Leg Humper” is a mild hefeweizen that is easy to drink and may lead to other activities. Papago Brewing Company, Scottsdale, AZ: Serving and brewing since 2001, their “Orange Blossom” is an American pale wheat ale packed with orange. Mother Road Brewing Company, Flagstaff, AZ: If you took a sip with your eyes closed, you’d never guess from the aroma of the “Lost Highway Black IPA” that this was a dark colored beer – wonderful. Historic Brewing Company, Flagstaff, AZ: The “Piehole Cherry Vanilla Porter” would make a great compliment to a cooling dessert of vanilla ice cream. 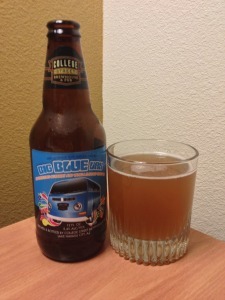 College Street Brewhouse & Pub, Lake Havasu City, AZ: Let the stranger take you away in the “Big Blue Van” – a blueberry and vanilla wheat beer that drinks like candy. Big Blue Van – in the only available glass. So if you find yourself traveling to the greater Phoenix area, make sure you search out some local brew. No longer will you be lost in the desert with only macro brews – an oasis of craft beer can be found in the Grand Canyon state.